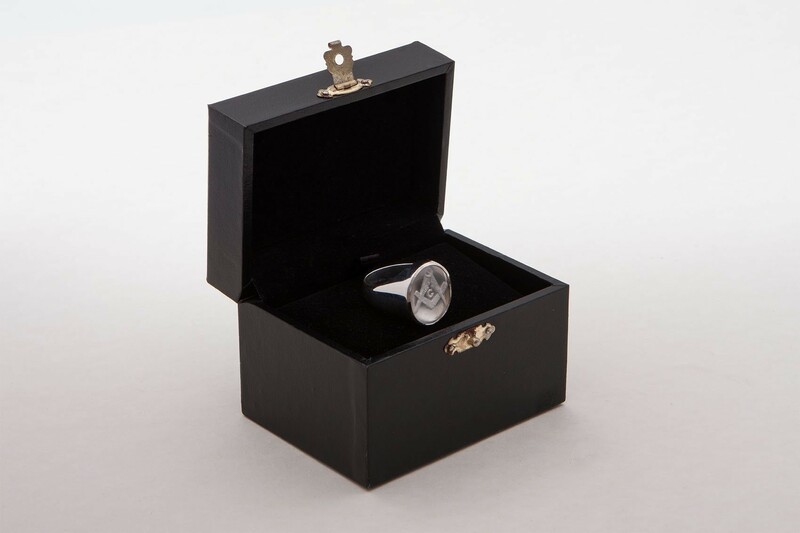 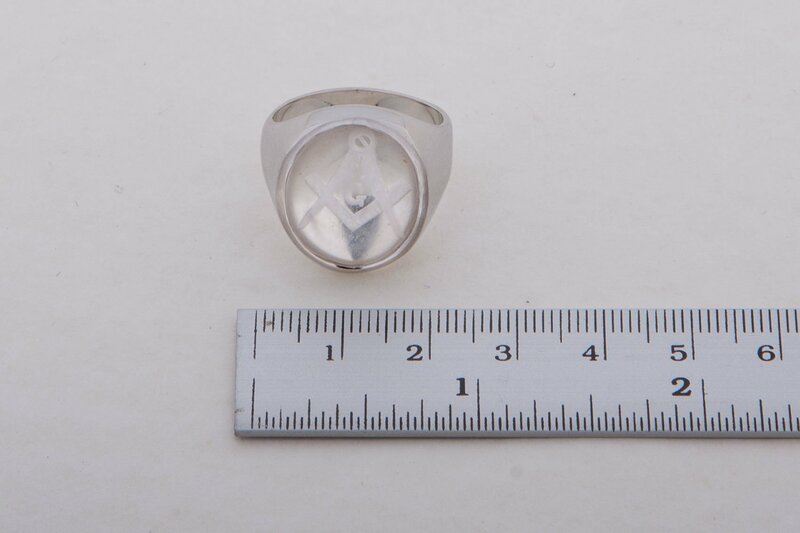 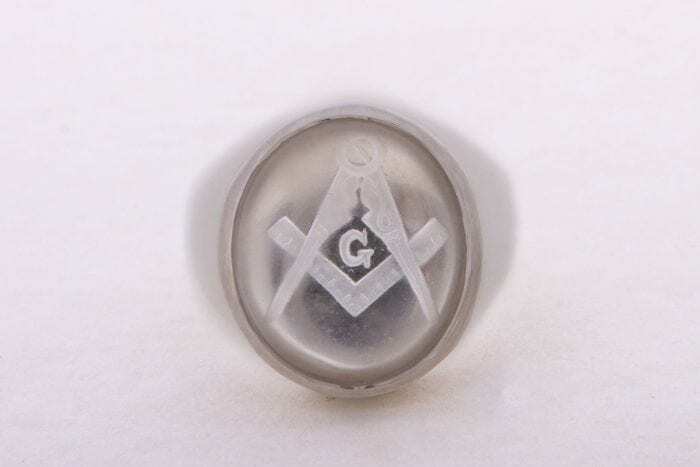 An amazing and very impressive ring bearing a sub engrave cabochon of genuine rock crystal showing the Masonic set square and compass. 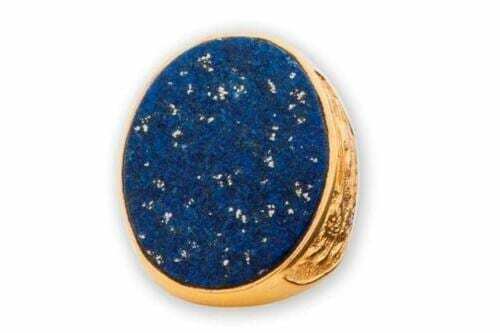 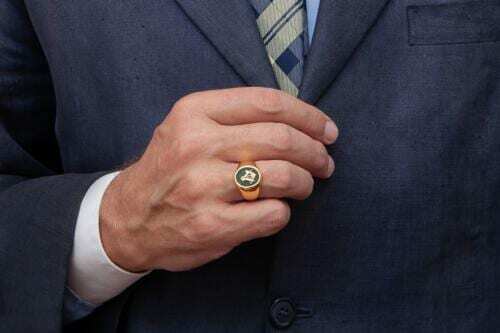 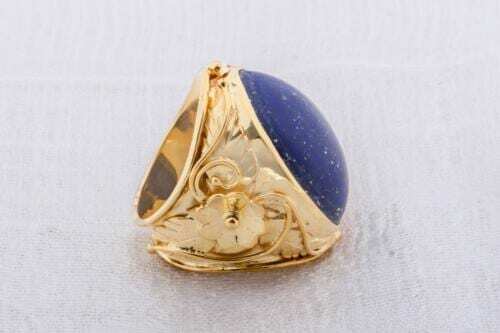 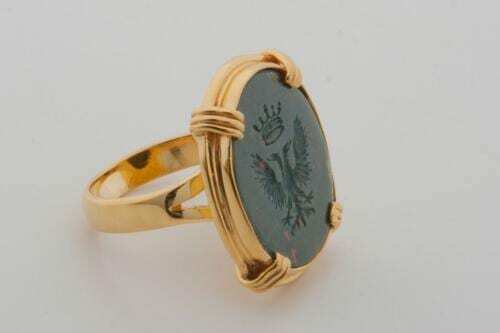 Sub engraved cabochon–a rare and skillful art. 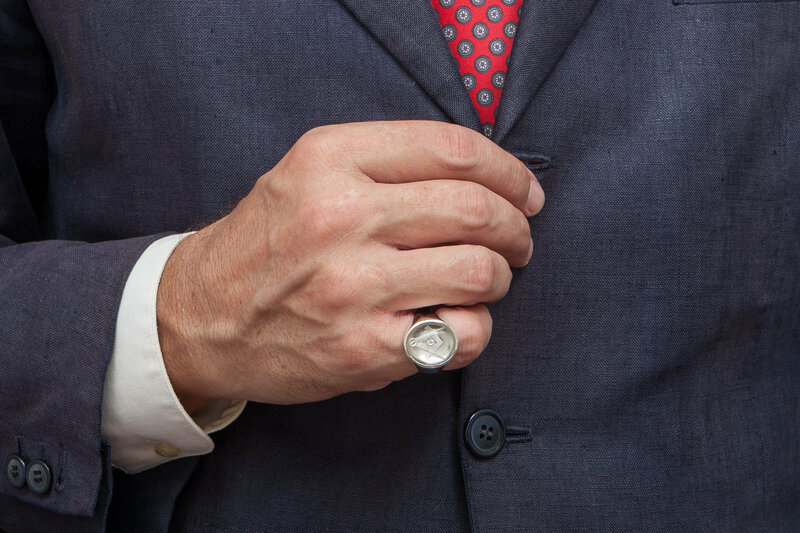 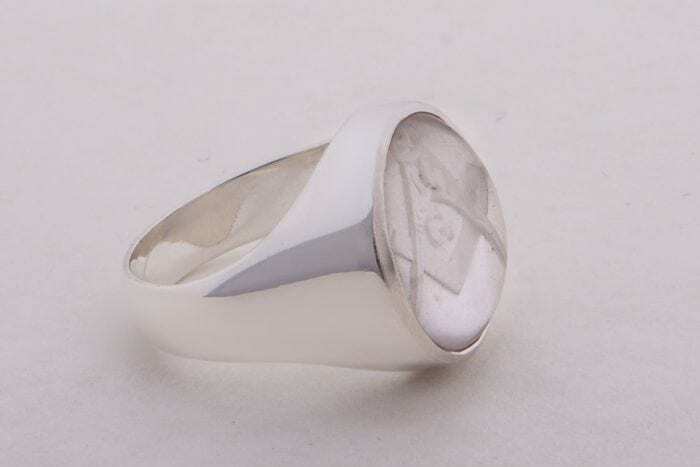 The medium oval is mounted to a substantial sterling silver chassis…No shoulder embellishments.